In royal news, the royal gingerbread recipe is available online. BEHOLD: The actual gingerbread recipe the royals use is available online. Christmas in the royal family is busy. Buckingham palace is hustling and bustling with a plethora of receptions and parties to celebrate the festive season. And what’s a party without snacks? 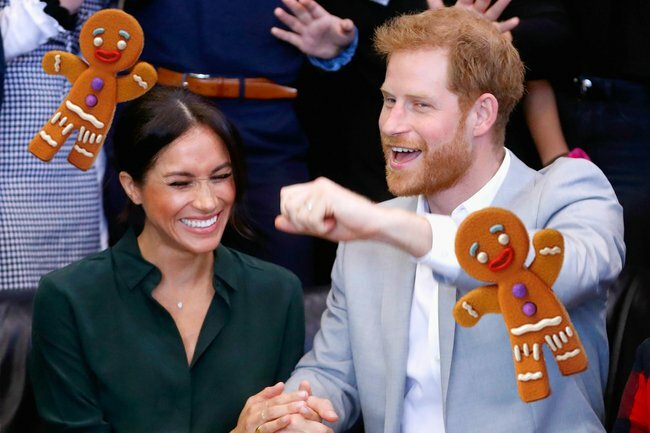 Since we weren’t invited to any of the aforementioned parties, the royal pastry chefs of Buckingham palace have generously shared the royal gingerbread recipe online. Here is the outrageously simple recipe, according to Buckingham Palace. Sift together the flour and spices, add the diced butter and crumb together with your fingertips. Roll out to approximately 3mm (but depends on the size of the cookie you wish to make), cut shapes out and lay on to greaseproof paper or silicon mat sprinkle with a little granulated sugar before baking at 180 degrees until set. Allow to cool fully on a cooling rack before icing with your choice of design. Let the dough rest. Making the mixture the night before will help. Put the shapes in the freezer once you’ve cut them from the dough. This will ensure they keep their shape nicely. If you feel compelled to do so, you can also cut tiny holes in the gingerbread so that when they’re cooled and iced, you can loop ribbon through and hang them on the tree. So make your cookies, brew a pot of tea and indulge yourself to a Christmas treat fit for a King.